So it’s teamed up its OneDrive cloud storage service with Xbox Music. 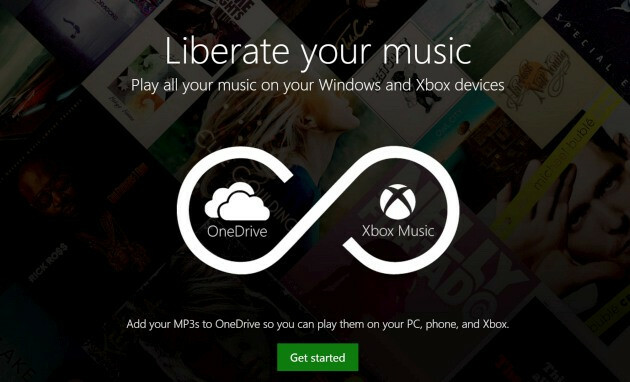 The former stores your existing music collection, while the latter lets you play it on your PC, Windows Phone, or Xbox. Unfortunately though, iOS and Android devices are not supported. If you have a Microsoft account, and you use it for both OneDrive and Xbox Music, a Music folder should show up on your OneDrive. This is where you can upload your existing music collection (up to 50,000 files). Accepted file formats are MP3, M4A (AAC), and WMA. After you’ve completed the upload, the tracks will become available for playback in Xbox Music, regardless of whether you’re using the clients for PC, Windows Phone, Xbox, or the Web. The files you uploaded will be listed as songs in your collection, and you’re free to stream them as many times as you want.